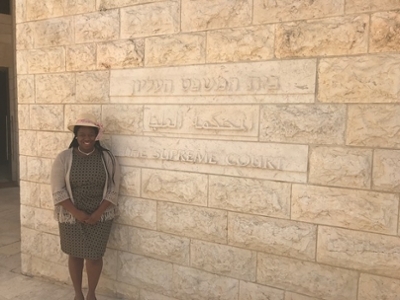 Tayler Bolton (CSLR 2017) is serving as a foreign law clerk for the Supreme Court of Israel this summer. Based in Jerusalem, the Supreme Court of Israel brings in professionals from other countries to do comparative law. Mark Goldfeder, director of the Center's Restoring Religion Freedom Project, recommends students to give them exposure to issues of law and religion, international law, military law, and other matters.